Are you a thrill seeker? Do you enjoy pushing your limits? Are you keen to get after it in the mountains? Do you like living outside of your comfort zone? Have you ever found your heart racing, palms sweating, and you're totally excited about what might come next? If so, you might be an adrenaline junkie and Big Sky is the perfect place for you. "Adrenaline Junkie" can be defined as a person with a compulsive desire for excitement and adventure. It's a pleasurable effect that's caused by adding adrenaline to your blood stream. Often that thrill comes from sports like rock climbing, skiing, snowmobiling, rafting, biking, and other activities that you will find an abundance of in Big Sky. Now you don't have to be a Red Bull athlete or a stuntman to be an adrenaline junkie. Everyone has a different threshold for what makes them get an adrenaline rush. 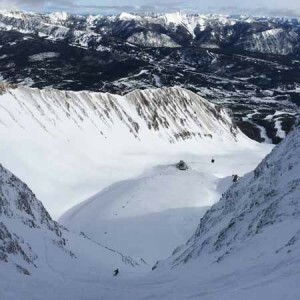 For some it may be sliding down a groomed run at Big Sky Resort for others it might include paragliding off of Tick Ridge or kayaking down the Gallatin River. All of these activities come with a certain risk that will make any thrill seeker smile. Every activity is different in it's own unique way. What may be crazy to your mother may be totally normal to the people in the line for the Lone Peak Tram. It's all in the eyes of the beholder. 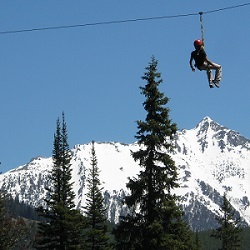 Thrill seeking activities in Big Sky is a relatively healthy thing to do. They keep you active and outdoors. Plus, they keep you young at heart. 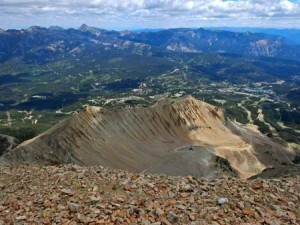 All of the activities that are included in the Adrenaline Junkie’s Guide to Big Sky come with obvious risks. Always seek proper training before you try any of these activities.